Pablo Picasso andy Warhol, Frida Kahlo . . . so many great artists have shared one very special love: the companionship of cats. Gathered here for the first time are behind-thescenes stories of more than 50 famous artists and their feline friends. 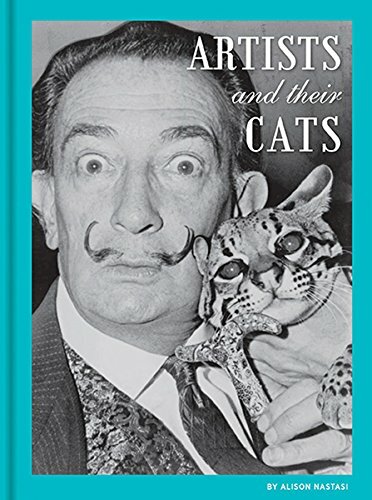 From Salvador Dali's pet ocelot Babou to John Lennon and Yoko Ono's menagerie of cats, including Salt (who was black) and Pepper (who was white), Artists and Their Cats captures these endearing friendships in charming photographs and engaging text and reveals what creative souls and the animals best known for their independent spirits have in common. In this clever compilation, art aficionados will discover a softer side of their favourite artists and cat lovers will enjoy a whole new way to celebrate their favourite furry friends. Alison Nastasi is an artist and journalist. She is the Weekend Editor for arts and culture website Flavorwire and writes for Fandango, Fearnet, Movies.com, and MTV. She is also a visual artist and her artwork has been exhibited internationally. She lives in Philadelphia.